Huntsville is more than an engineering town. We have our fair share of creatives as well which can be seen in the concentration of STE(A)M activities – where the arts and sciences meld together. Artists and audiences alike love the way Huntsville showcases not just local talent, but also draws national exhibits and performances. 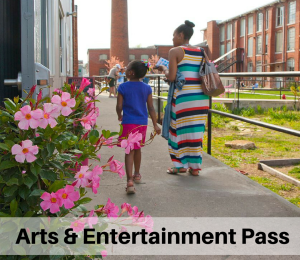 Lowe Mill ARTS & Entertainment is the largest privately owned center for the arts in America, but it’s not the only creative hub in the Rocket City. All creative disciplines are represented by artists across the city, including painters, musicians, filmmakers, actors, dancers, designers, photographers and craftspeople from every area of interest. In addition to Huntsville natives expressing themselves through art, organizations like Broadway Theater League, Huntsville Museum of Art and Arts Huntsville often bring the biggest attractions in the art world to town for everyone to enjoy. Explore our arts oriented attractions with the listing below! But, be advised, the list below is of attractions only - for more arts & culture info, click here.